and me about our classroom blogging and collaboration. Click here to find the podcast or look up “The Virtual Staffroom” in iTunes. One of the topics that arose on the podcast was around getting more teachers involved in classroom blogging. In my last post, I highlighted some of the benefits my students and I have gained from having a class blog. If the advantages are clear, why aren’t more teachers using blogs? Linda Yollis and I are both passionate about encouraging others to get involved in blogging. Often the problem doesn’t lie with starting the blog but maintaining it. I would love to know the percentage of blogs that become dormant within months of starting. There are many issues that teachers have voiced as obstacles to starting or maintaining a blog, or using technologies in their classroom. I’d like to address a few “obstacles” here with an alternative viewpoint. Please comment with any other obstacles or solutions you’ve come across. There is no denying that blogging (or integrating technologies) takes time. It is a different way of working for many teachers who have been using the same approach for years. If you want to make blogging a part of your classroom, you need to prioritise it. That may mean sacrificing things that were priorities in the past. For Linda, that was making attractive bulletin board displays or creating “paper based” projects for students. While you will experience a steep learning curve at the beginning, it is worth sticking with it. When you get the hang of blogging or technology integration it is not an add on, it is a seamless way of working more effectively. I have five (far from new) computers in my classroom and Linda has only two computers in her classroom. It is clear that we didn’t need a 1:1 laptop program or a computer lab to make blogging work for us. You need to be creative and find out what works for you and your class. Perhaps you could use a projector or IWB to do whole class/small group work, or partner students up and have times when they can rotate their use of the computer. Use what you’ve got to the best of your ability and you’re off to a great start! The way I like to think of this is, are students going to get any better at typing by not blogging? I have found blogging is a great way to authentically teach keyboarding skills and is an avenue for regular practice. Last year I was amazed at the progress many students made with their typing through incidental lessons, drill games and regular practice. Some students are going to take longer than others to develop their keyboarding skills but even if they produce a one sentence comment, that’s a good start. Alternatively, I sometimes get the “better typists” help other students type their thoughts if we’re short on time. Internet safety is undoubtedly an important issue. There are many ways to teach about internet safety and in my own experience, blogging has been the ideal avenue to teach my young students about this topic and appropriate online behaviours. Click here to read about how I set up rules and guidelines for my class blog. These guidelines ensure safety is a priority. Through blogging, all my students know not to publish their surnames or reveal other personal information about themselves including passwords. They know that what they publish on the internet is forever and cannot be taken back. My students are also becoming aware of correct netiquette. Internet safety has to be taught and I have found it is best to approach the topic when students are young. It is important that we give our students experience using online technologies in a supervised environment. Technology is not going away. Internet safety will always be an issue. We need to address it. In summary, it is clear that if you really want to do something you will do it. Apparent obstacles will turn into opportunities for creativity and problem solving. Can you think of any other obstacles that prevent teachers from blogging and using technologies in their classroom? What other solutions can you come up with? Hi Kathleen. Thanks for this article. I think you address some great concerns, however, if I may, I’d like to add a few more. Firstly, sometimes I don’t think that teachers see the relevance or the need to expand their classrooms outside the school hallways. They’ve been doing quite well with the work program, and the really aren’t sure what the consequences are if they do away with it and delve into something so unknown. Secondly, it may be that the school hasn’t developed fully a proper online protocol. This could be for many reasons; exposure of students the web, the debate between private/public blogging, tarnishing the reputation of the school’s public image may be another reason. I look forward to hearing what other readers have to write on this topic. Well said and I agree that teachers don’t see the need. I think the best approach is to show teachers what your students are doing, what they’re getting out of it and what’s possible. With support, hopefully teachers will slowly take that leap of faith! As for the online protocol, this is certainly an issue. I know when I delved into blogging in 2008 I didn’t look to my school for protocols, I did a lot of research myself and devised my own protocols for my class (which I have kept and developed over the last few years). Up until 2010, I made my own permission notes too. I know that most teachers don’t think they can do this or are not sure where to start and of course there needs to be school support. Thanks for your thoughtful insights! I have not had many opportunities to blog with a class as I have a part time position and share a class but have used a closed class blog on a school intranet site to keep in touch with a student who had a prolonged absence from our class. I have also tried to encourage more use of our school intranet site which enables students to log in from home and participate in discussions and share work with the whole school – all password protected. A very small step towards sharing to a wider community. I have struggled with all of those statements when introducing many computing related tasks, not just blogging. I find that lack of confidence, reliability of hardware/software and time seem to combine so that when teachers are feeling the pinch these are the first to go. One other instance that I have recently had to deal with relates to what I think comes under the term “intellectual property rights”. Several parents had refused permission to participate in some online activities because they objected to the ‘offsite’ (not stored within the servers of our particular education department/system) storage of their children’s work. They had read the Terms and Conditions of the sites and objected to several statements in them relating to what might happen to their child’s work if the site change ownership, what may happen with any data at a future time (talking years here)as in who may be able to access it and to the statement in the terms that any legal issues will be dealt with in the country and state the site resided in (Not the same country that they live in). No real solutions to add at this stage. With what I have tried so far I have learnt how important it is to involve your parents right from the start and to get permissions sorted out, to think carefully about what is asked on site registration forms and to test run things before launching into them with a class. Intellectual proprty rights? On students’ work?! That is so sad. Let’s use people like Kathleen and David to build a case. As with lots of issues in education, things are never simple and it is difficult to condense the essence of an issue down to a single statement in a comment. I have had time to consider this for a while now and accept that my own approach to starting the online activity which was not blogging but participating in an online class environment, hosted offsite, was that of a beginner. I made beginner errors with usernames and the registration process hence the last paragraph of my comment summing up what I had learnt. My class still explored other opportunities including a closed blog and I believe that still gave us opportunities to practice replying to posts and comments. Hopefully that beginning will be built on over time with other teachers as these student progress through their schooling and meet other teachers who blog and participate positively in online activities. Kathleen and Mark, you have both made some very good points about the blockers to blogging. Perhaps also some people feel they have nothing to say to the world, or don’t wish to share their thoughts. Others might object to cluttering up cyberspace with text and images from one person’s perspective. For others still, they see it as a risk, exposing their personal opinions, reflections and goals. Some just don’t see the point at all. Personally, I find blogging a very useful tool to organize my thoughts, plan for lessons, reflect on my teaching practise and connect with students, parents and peers around the globe. Blogging helps me to keep track of all the wonderful on-line resources available and expands my personal learning network to include excellent teachers both within and outside my subject area. Without the power of my blog to connect with colleagues, I think my teaching practise would become very stale and boring. Great topic Kathleen, I look forward to more discussion here. @ Britt, thanks for your thoughts. I think you’re right about not having anything to say or not wanting to say it! It is like the 90-9-1 rule for social media. Only 1% of users are actually contributors, 90% prefer to be lurkers. Maybe we just can’t expect people to take that risk and want to share their ideas/work?? You use blogging really well and I totally agree with this statement “I think my teaching practise would become very stale and boring.” Last year I blogged about how technology saved my career. I was ready to give up teaching before I started using technology as I was getting bored with doing the same old thing (and that was only after a few years)! I really don’t know how people who have been teaching the same thing in the same way for 20+ years stay sane! I throughly agree with the points that you put forward in your article as to why more teachers are not blogging. I started blogging with my class in 2010. I hadn’t blogged prior to last year as my school wouldn’t let me due to the bandwidth available and that the school had to pay for all internet usage. One major hurdle that I have to encounter blogging is the poor internet coverage that we get. Living in rural Australia, at home I can only get wireless broadband and at a low signal strength. Internet comes and goes on and off. Many of my parents have similar issues. I’m sure there are other teachers with the same issue. * lack of support from other teachers. * time, especially with the release of the Ultranet. * lack of support from parents. Despite letting parents know of our blog via letters several times throughout the year, many of them still haven’t looked at the blog at all. * blocking of videos etc at school. Last year, as I found class blogs that were primary based especially Early Years like my classroom, I added them to our blogroll. Probably half of those blogs are not used more than once per term. Kathleen, it would be interesting to see the percentage of blogs that are dormant as well as finding out why they are. If teachers took the time to create the blog, why haven’t they continued with it? The use of technology is frequently discussed at the Literacy Leaders P.D.’s that I attend. Many teachers have computers and IWBs as the only technology available to them. One eye-opening session involved every teacher in the room listing the apps that they use on their phone – several didn’t have mobile phones, many didn’t know what an app was, a few used every app available to them. I too, am interested to see what other teachers have to say as well as solutions found. Great point about internet coverage. That’s something people in regional cities don’t think about. I can empathise with you though as until early 2010 our school internet was almost unusable. I think it was a case of a very large school with a very small server. It was slow incredibly slow you had to wait 10mins for a page to load, if it would load at all. Really, I can’t believe I stuck with blogging through with this obstacle and now I really really appreciate our fast internet at school! I hope the National Broadband comes quickly for you! – Parents: always an issue and I have blogged about this before. Parent support doesn’t seem to come easily (for most of us, I know it does for Linda Yollis). I have tried all sorts of strategies to get families involved. Read my post here. – Ultranet: I invest time in things that I think are useful and although I am an Ultranet Lead User, I’m not very found of the Ultranet in its current state. Therefore, I have kept up as much as I need to as I know the Ultranet isn’t going away however at this stage invest my time in more worthwhile pursuits (eg. 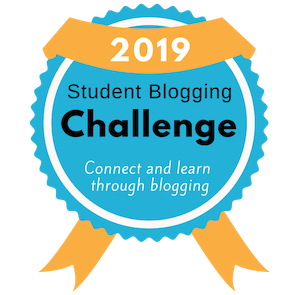 blogging and other web 2.0 tools)! That’s just my personal priority though. Each to their own! – Other teachers: Support is so important for some people however I don’t mind being a pioneer. If no one else wants to do what I’m doing, I’ll still do it if I believe it is important. I have relied a lot on support from my online community of teachers (eg. Twitter). – Blocking videos: Definitely frustrating although each school can control what they want to block so maybe talk to your school admin. Read my Tech Tools for Teachers about filtering in Vic government schools. I hope you don’t think I’ve brushed your issues aside, they are big obstacles and all ones I have faced; I just like to provide alternative viewpoints as I’m really passionate about helping teachers to integrate tech! The blog maintenance issue is frustrating and so disappointing for students and parents. Perhaps those students and parents need to voice their expectations with blogging and tech a little louder! What an interesting anecdote about the apps. So eye opening! Thanks so much for your thoughtful insights into this issue and hope to hear from you again. Thanks for the post Kathleen. There’s no getting away from the importance of the hurdles that colleagues erect to avoid being involved. Listing them then offering potential solutions in the way you have helps us all build up our arsenals of replies we can use with colleagues. It’s often said the the best form of defence is attack, so I’d also suggest offering the positive aspects to blogging like those from Anne Mirtschin (http://bit.ly/edbqYb) and Pooky Hesmondhalgh (http://bit.ly/hTtOmg). If people weigh up the benefits of blogging against the costs, then prioritising blogging against other demands on their time ought to be even more clear. Didn’t it? I really agree with you there. I used to get so frustrated with other teachers but now I try to just take the approach of showing them what I’m doing, showing them the possibilities and advantages and I think eventually they’ll realise they have to come onboard! As we discussed in the podcast, I also think there is going to be pressure from parents soon. For example, the parents in my 2010 class just loved the blog and the fortnightly e-newsletter I sent them and I know they’re going to miss it now their children are in different grades. I hope pressure from students and parents will build! Thanks for those links too – great reads! Great post Kathleen, It is so important to address these obstacles along with ideas for overcoming them. I have a lot of thoughts on the issue of why blogging/technology integration is difficult for many teachers, and sometimes my ideas seem almost contradictory. I’ll try my best to explain them! I think one of the biggest reasons some teachers are hesitant to blog, as discussed in your post and the comments, is the perceived learning curve. They know how to teach the way they always have and the way their Master’s degree taught them to, and that way works. Technology integration requires time investment, learning new skills, and trouble shooting. 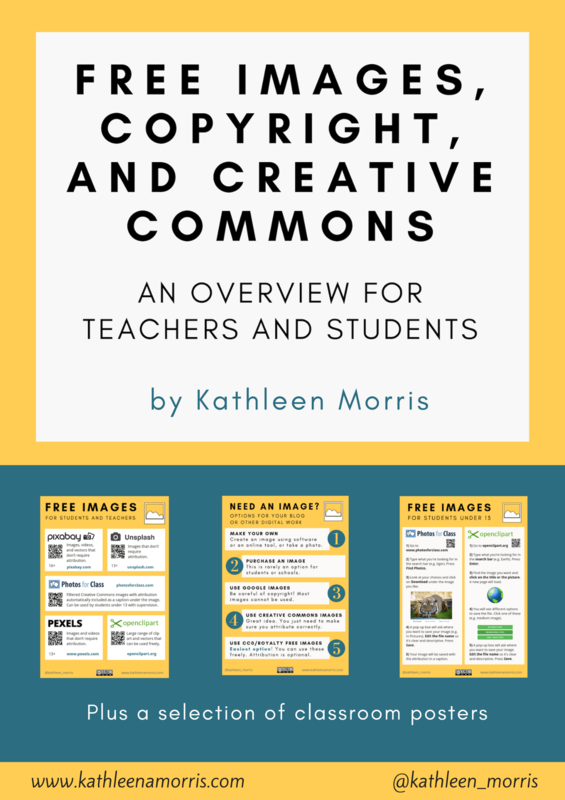 To incorporate blogs or other tech into their teaching, we are asking teachers to act as students – something I assume that most of your readers would agree is an obvious role that all teachers should constantly model. However, what we (proponents of tech integration) are asking is that they learn something that may not come easy to them. What I mean is that most of us reading this post or collaborating through blogs, wikis, twitter, etc., enjoy these activities. It is easy for us to invest time in these activities because we see the benefits for our students but also because we like them. In fact, sometimes we have to drag ourselves away from these activities. Anyway, what I’m trying to say is that we shouldn’t assume that all teachers can pick up blogging the way many of us have. And I don’t think it has much to do with the whole “digital immigrant/digital native” idea. I’m a digital immigrant (never really used the internet until I started teaching 5 years ago) and I can spend hours tinkering with web applications. We wouldn’t demand that a student who is strong linguistically but struggles mathematically should immediately grasp and enjoy mathematical ideas. We would take more time with that student and find ways to meet his/her needs using their specific strengths. It’s the same with many teachers and tech integration. It’s not necessarily that they are lazy or don’t see the benefits, they just may struggle with the type of learning involved. Sorry for rambling, I’m afraid I haven’t offered any solutions for overcoming some of the obstacles! I just think it’s important for those of us that enjoy blogging to realize that not all teachers have the same facility for picking it up or get the same intrinsic enjoyment from it that we do. Along with the understanding that teachers should be life-long learners there needs to be the understanding that, just like our students, we all learn differently. I think you’re very right about this obstacle and while it is something I’m kind of aware of, it’s not something I’ve thought about much. You explained it well and really made me think. Why is technology still optional? Such a big issue! There is not only the issue that experienced teachers need to be encouraged, expected and supported to make that change but new teachers training at university need to have technology made a priority. From my experience with unis, this is not the case. Another issue is, teachers need to realise that their students are really missing out if they feel they cannot or will not integrate tech into their classrooms. It’s really doing their students a disservice. Maybe they don’t realise or maybe they choose not to think about this? Thanks so much for pointing out this issue, Jonah. I think this is right up there as the main reason people aren’t embracing tech! Perhaps some of the other issues I pointed out and others points out are cover up excuses for this larger obstacle?? I really enjoy the blog. This is my first time visiting and I’ve found myself reading through quite a few of your posts! This is definitely an issue that is near and dear to my heart. I think there are many teachers who are having a very difficult time embracing new technologies in the classroom. I really feel like there is a transition period happening in schools right now between a traditionalist classroom and a modernist classroom, where many different forms of technology are embraced. Never before have students been able to have a face to face conversation with a class in China or South Africa. Never before have students been able to walk up to a board and drag their finger across to drag and drop a word to where it belongs. Never before have students been able to easily discuss prior projects in the classroom just by hopping on a blog and writing a comment. All of these are possible now and I think it’s important to provide these opportunities to students in order to allow them to make real world connections to what’s being done in class. I think a main reason that many others fail to embrace these new technologies is simply because of a fear of the “new.” Just like some of the other colleagues have mentioned, some educators feel as though they already have enough on their plates and believe that trying to learn to use certain technology is just one more thing to add to the pile. I love my fellow teachers at my school to death. They are all wonderful people, great educators, an inspiration in my life. But even through efforts of giving after school workshops, they still don’t take the time needed to play with it on their own. They get frustrated by it very easily. We have two mobile interactive white boards in our school. There is a sign-up sheet for two week periods so that every person who would like an opportunity to have one, gets that chance. I’ve had one in my room now since October. Nobody has come in to ask to use it for a lesson. Nobody has even come in to ask to play around with it for a few minutes. It’s somewhat disappointing (as much as I wouldn’t want to give it up anyways) that nobody else is taking advantage of attempting to work with something that I have found to engage students so wonderfully. With blogging, it’s the same thing. I’m the only one within our whole school district who maintains a blog. I’ve heard from many others who say that they love the idea, that they’ve been inspired to start there own. It still has yet to happen, even after many times of offering up help. So, I guess my question in all of this is, how do we let others know about the benefits of blogging and other technologies? What can I do to help get the word out? Keep up the great work Kathleen! I really enjoy reading your blog! Thanks so much for taking the time to share your insights. Very interesting! I totally agree that a transition period is happening. Unfortunately, I have met teachers who have made it obvious that they’re not going to change the way they teach because they are retiring in a few years. What a shame! Our students’ education can’t be put on hold by this sort of attitude. Something you said really resonated with me “they still don’t take the time needed to play with it on their own”. It sounds like you and I are more than prepared to run workshops and help people but we can’t do it all. Teachers have to take the time to play around with the technologies they want to use otherwise they are not going to have the confidence, enthusiasm or capability to implement it in their classroom. How many times have you heard “but I don’t have time”. I know lots of people have busy lives, but once again prioritise. I see a lot of time wasting before school, during time release and after school that could be put to better use if people really wanted to! How do we let others know about the benefits of blogging and other technologies? Such a good question! The funny thing is, people who are reading posts like these are probably already convinced – I find I am often preaching to the converted! I guess we need to convince schools from the top that time needs to be dedicated to spreading the word. This year at my school I am in charge of ICT PD and, for the first time, we are dedicating each Monday night to in-house PD. It is great to see this sort of commitment from the school admin. I think the change from the “transition period” where tech is optional to it being a requirement is not going to be quick! Keep up your great work, Shawn. I love what you’re doing. Great topic Kathleen and one that obviously raises a large amount of discussion and debate. I started blogging in 2007 and was very much a novice. I created a class blog for my Grade 2 class and at that stage I was very much the ‘driver of the blog’. Over the last few years I have changed grade levels and have taught Grades 1, 2 and 4 and have continued to blog. I have found that our class blog is a wonderful tool to communicate what we do in our learning and a super tool for the kids to proudly share their work. In my Grade 1 class in 2010 we regularly used our blog as a literacy centre where students confidently wrote posts about all matter of things including new words, interesting things they had noticed in our shared reading sessions, facts, identifying phonemes in words etc. These 6 and 7 year olds were very much at home with the concept of the blog and loved the idea that they were able to share with the ‘whole world’. As well as blogging our Grade 1 students have skyped with a school in the US sharing songs and stories; regularly post tweets to our class twitter page; create digital stories using video; regularly use a variety of web2.0 tools including slideshare, vimeo, youtube, slide.net, wallwisher… and much more. These kids CAN use technology – we just need to give them the opportunities…let them make mistakes, ask questions, discover ways to solve problems, work in small groups to find solutions (after all, isn’t that how they will learn?). Technology is a day to day part of our classroom learning – we record reflections using flip cameras, microphones and create podcasts to share on our blog. I agree with you Kathleen, in that the Ultranet in its current form is a bit restrictive as we loose a big part of our global audience within the ‘walls’ of the Ultranet and so I will continue to use globalteacher. Over coming colleagues reluctance to blog is one of my goals as ICT leader and with continued support and small steps we now have 6 teacher’s with class blogs which is very exciting. Now to get the kids onto globalstudent (fingers crossed). There seems to be a continuing reluctance to incorporate blogs in junior primary for all the reasons you stated in your post, but I hope that with continued support, encouragement, PD opportunities and being able to let the kids take more of a leading role in their learning this will change. @ Trish, nice to hear from you. It sounds like you’ve found out how to really make blogging and technology work in your classroom. You’re right, age isn’t an obstacle. I enjoy setting high standards for my grade twos because, with support and structure, I know they are capable of amazing things. I’m glad I’m not the only one who is choosing to the let the Ultranet sit on the backburner a bit! I agree that we have to take small steps to get a whole school approach to blogging/tech-integration. It sounds like you’re doing a great job with six classes on board. Keep doing what you’re doing, I admire your work! It was nice to hear that you used blogging with your first graders. I have a second grade class and have been trying to effectively use blogging in class. I have 7 computers and 4 iPods, but am still struggling to have my students use the blog regularly. A few love it and will even blog at home, but most go almost kicking and screaming. Or, they post a single sentence that has little depth. For example, “I like your post,” or “I like your story.” Am I expecting too much, missing the value of what they are doing or do I need to introduce or teach it a different way? I am a second -year teacher, so I would LOVE any suggestions on how to use this tool more effectively. I teach Grade Two as well. I’ve been away for a while but now I’m back so had a bit of catching up to do with your posts. I loved this latest post and love the fact that you are constantly encouraging others and finding ways to overcome the issues that so many of us have. You’ve been a huge help to me in my blogging journey and I’m sure to many others worldwide as well. I like the point Jonah made, it’s always great to hear other points of views to keep the discussion interesting and contemplate other viewpoints to challenge your thinking. However, for me, the fact that teachers might find it difficult and it may not come easily to them makes it all the more important for it to be taken up by them. What a great message to be sending kids: I find this tough and challenging but I believe it’s important so I’m going to give it a go and try and do the best that I possibly can. That’s the message a lot of us try and pass onto our kids everyday so why not show them that we practice what we preach. @ Sarah, welcome back! Hope you had a nice time away. I agree – I think Jonah was on to something there. I love how you pointed out that we want to give the right message to kids. There seems to be such a contradiction for some people in what they do themselves and what they expect of their kids (not saying I haven’t been guilty of this either!). You’re right, as teachers we really have to try to practice what we preach! I have had a great time reading through all of the comments. At the end of the day, if something is important to you, you make it a priority. Right now teachers aren’t letting the importance push them to action. There is a level of fear into stepping into the unknown.